How to Manage Your Time at Work. 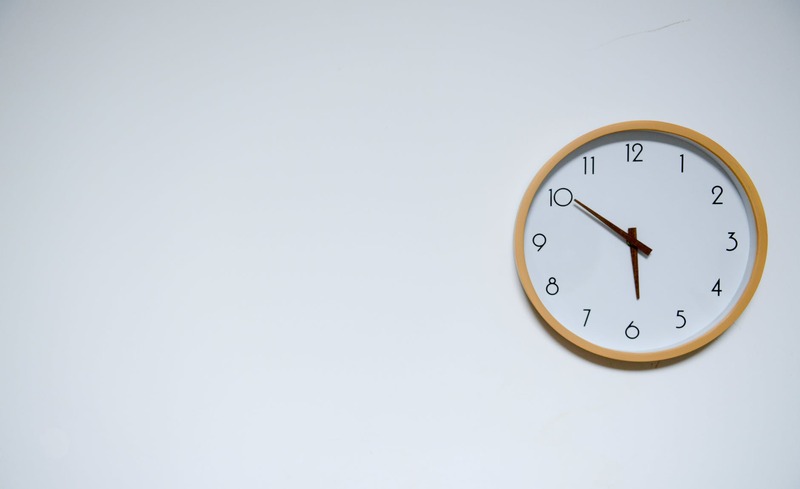 As a 23-year-old University graduate in my first, ‘serious’ full-time position, I’ve found it difficult to successfully conquer time management. As an Account Executive, I work on multiple accounts every day – tasks that need prioritising, tasks that take hours and tasks that only take a few minutes. Earlier this month, I attended a time management course in hopes of learning how to structure my day more efficiently. Interestingly, time is something that we cannot manage as it can’t be changed – instead we must utilise it as best we can. Before any tips, we discussed our styles of learning using Peter Honey and Alan Mumford’s approach. Honey and Mumford identified four distinct learning styles: Activist, Theorist, Pragmatist and Reflector. Understanding these learning styles and which style you identify with can help you understand your approach tasks and the time you dedicate to them. After filling out a short questionnaire, I discovered that I have a strong preference to the ‘Activist’ learning style. ‘Activists’ are usually confident, idea generators who have an open mind but also take chances; to their disadvantage, this can result in tasks being left unfinished, jobs being rushed, or consequences not being considered. Take the test yourself to find out what learning style, or blend of styles, you lean towards. 1. Plan to finish your work day 1/1.5 hours earlier than expected – this will allow you to pick up ad-hoc work in that free time or allow you to be flexible with your time. I find that if I tackle my most difficult tasks in the morning, I’m able to tackle the smaller tasks straight after lunch. This way when I’m able to, I can plan my time to have an hour or so capacity to help with work for other members of my team or even other areas within the company. 2. Separate your to-do list into morning and afternoon, or simply note which tasks will be done in the AM and which will be done in the PM. Personally, I’m more of a morning person. I choose to work on my biggest and most important tasks in the morning – my productivity is slightly higher at the beginning of the day. This then leaves time in the afternoon, after lunch, to tackle smaller tasks and any ad-hoc requests. Depending on whether you’re a morning or an afternoon person, delegate your work appropriately – this will make your whole day more productive. 3. Organise your Outlook – obvious but very effective. Whether you’re separating your folders into projects, months, years or even active and inactive, this will allow for better email coordination and the ability to clean out your folders of useless emails. This may not be the most important tip of them all, but organisation of your emails makes for a clear, coherent space. I’ve tried it over the last few weeks and I feel more confident in my work. If a colleague asks a question regarding a certain project, I know exactly where to look. Or, if I receive an email into one of those folders, I know exactly what that email is about and whether it’s a priority to stop what I’m doing and open it or not. Bonus: IT told me this could help your computer work faster! 4. Analyse the way in which you work through your learning style and change approach accordingly if need be. As an ‘Activist’ myself, there are moments in my day where I would benefit from approaching the task as a ‘Pragmatist’ or a ‘Theorist’. I joined Ruder Finn as a Junior and because of this, I strived to be proactive in everything that I worked on. Anything that was asked of me, I would try to do – I played the role of an ‘Activist.’ As I’ve grown at the company, however, my work load has increased and although I still aim to be as proactive as possible, there are times I’m asked to take on work and I must adjust my approach accordingly. Adapting a ‘Pragmatist’ style allows me to not over promise and manage my time effectively with whatever I’m working on at that time. 5. Avoid multiple screens in front of you – especially Outlook. If you see a new email come into your inbox, resist that temptation to open it up – it may interrupt your productivity and interfere with your thought pattern. I work on two screens – there’s great benefits when you’re comparing two documents and you can have one on each screen – but to be working on one screen and have another for the sake of it, you’re creating your own distraction. Whenever I have Outlook open on my bottom screen and I’m working on something on the above screen, an email arriving into my inbox will draw my eyes down. I could be mid-sentence in writing a blog or reading through some copy. If my eyes wander, it throws me off and I lose my place. As simple as it is, it’s a game changer for concentration. I hope these tips help you with your time management; you can learn different ways to manage your time from anyone – so let us know if there any other tips that you’ve learnt. Is it a bird? Is it a plane? No – it’s a lifesaving drone!